St John Ambulance (SJA) is commencing a review into the priority assigned to their dispatch codes (ProQA) to validate the clinical urgency of their Priority 1 (P1) responses. They are seeking a lay person to participate in the Clinical Review Team. The Clinical Review Team is expected to consist of SJA clinical representatives, with independent members from the Prehospital, Resuscitation and Emergency Care Research Unit (PRECRU – a university researcher), a clinical representative from another area, and a Consumer (lay person) representative (this role). SJA are seeking a consumer representative to attend and participate in Clinical Review Team meetings from May – December 2019 (approximately 10 meetings). Each meeting will take 2-3 hours. Meetings will take place in Belmont at SJA offices. Out of pocket expenses will be reimbursed on the production of a receipt. A full introduction into the workings of the State Operations Centre and the Ambulance services will be given. The functions of the relevant systems will be explained in the meetings as not all SJA staff will be familiar with their use. Ability to understand triage principals, and the urgency of treatments. 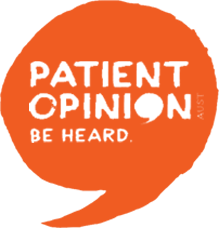 Ability to discuss patient experience with a wide range of professionals, individually and in small groups. A willingness to learn about, and influence, ambulance dispatch and response. Contact Cameron Dawson, Project Manager by 6pm on Sunday 5th May. Provide details of your interest, skills and experience in this area.